Did you know that slips, trips, and falls cause 15% of all accidental deaths? Learn how OSHA is providing guidance to help prevent accidents in the workplace from our Certified Professional Ergonomics and Certified Safety Professional expert, Theresa Stack. Ms. Stack has over 17 years of professional hands-on experience in occupational safety, health, and ergonomics, and is currently a doctoral student at U of MT. Slips, trips, and falls constitute the majority of general industry accidents, second only to motor vehicle accidents. The OSHA standards for walking and working surfaces apply to all permanent places of employment, except where only domestic, mining, or agricultural work is performed and if appropriately applied, can reduce lost work time. 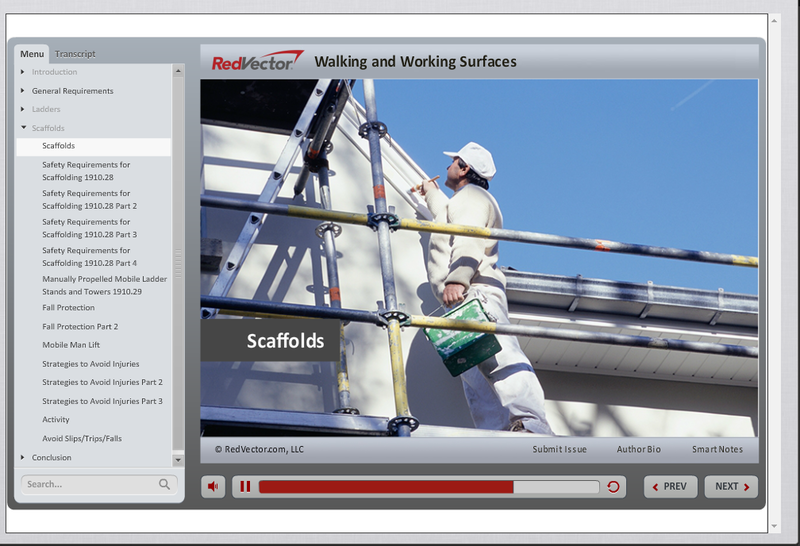 This interactive online course details the OSHA standard in a practical format with easy to implement solutions to provide a workplace that is free from hazards and reduce unnecessary costs.